JewelMounts offer a complete collection of quality mounts, shanks, settings, gents and much more. Each design can be ordered in stock in stock sizes or customised to your exact specifications. Modify the centre stone to any size or shape, add accent diamonds to any solitaire, adjust bands and settings... anything is possible! 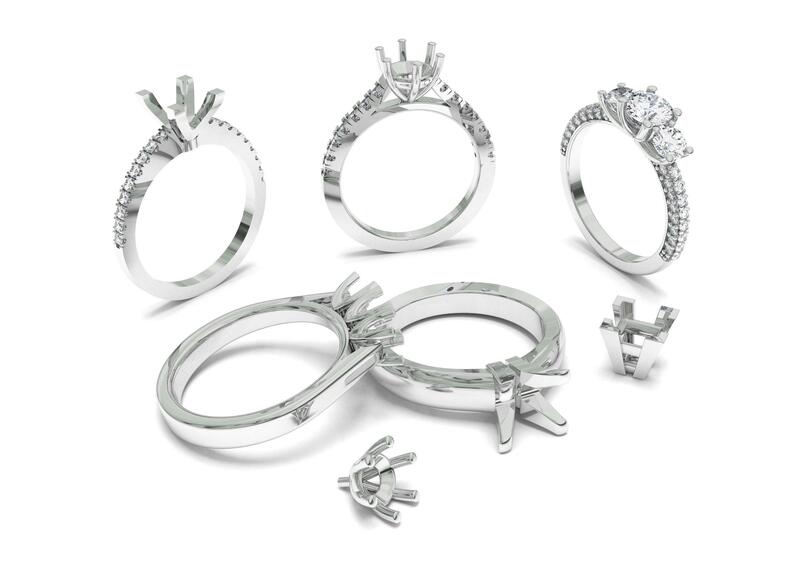 Available as castings or semi set-finished (ready to set for speedy delivery) in 9ct, 14ct, 18ct, Palladium or Platinum.